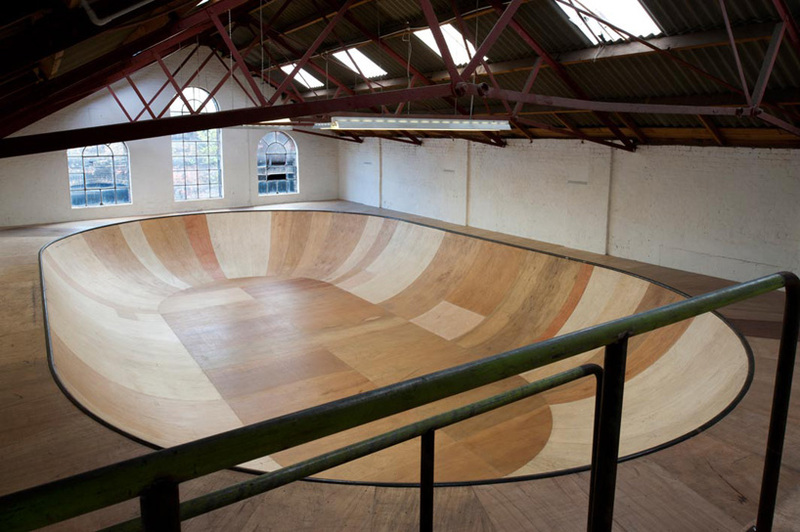 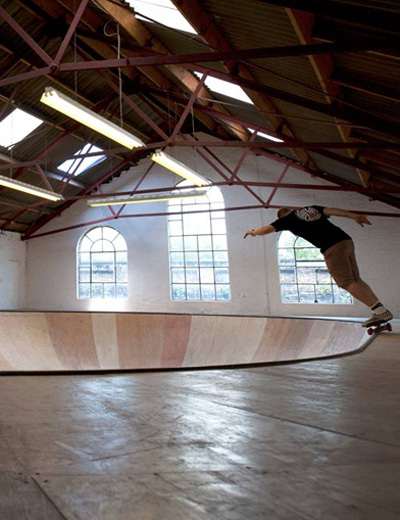 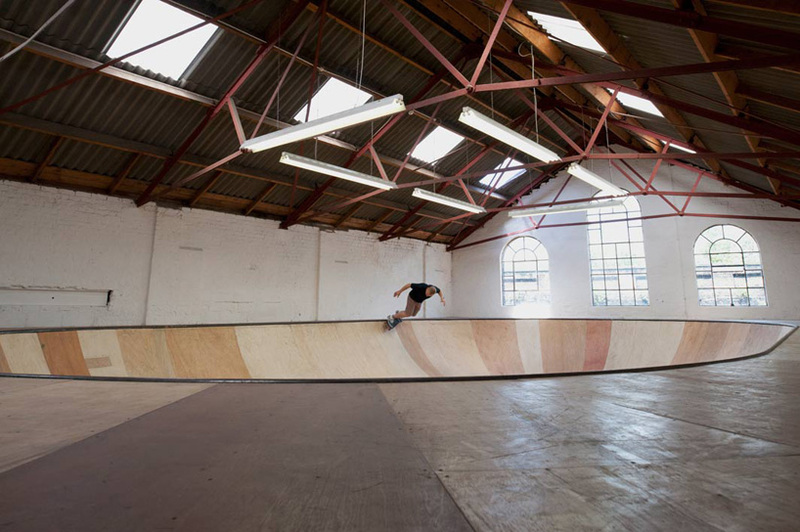 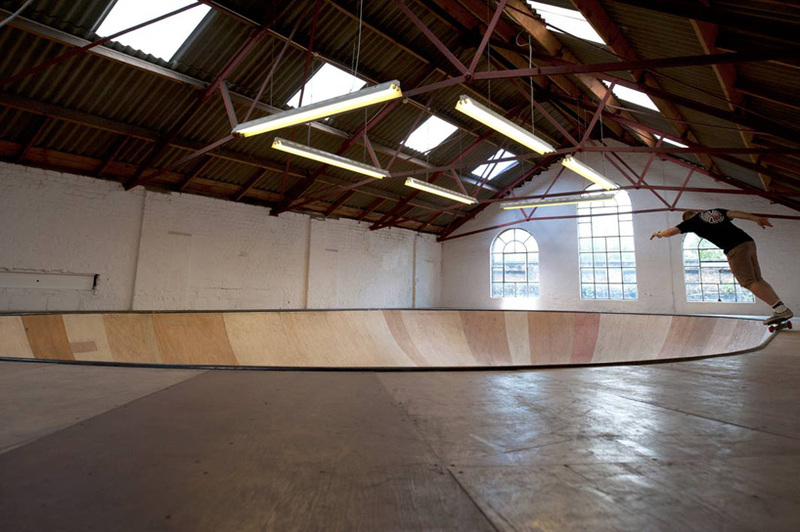 uk artist benedict radcliffe has sent images of his completed skate/performance bowl which designboom covered in the construction phase here. 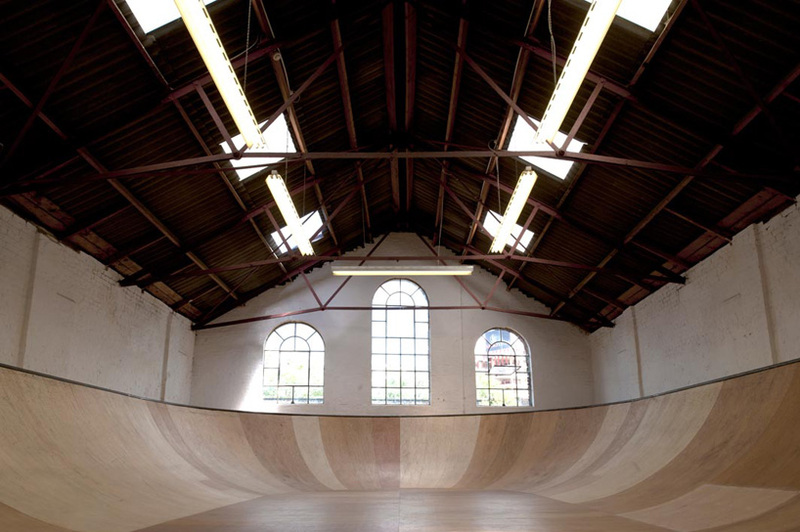 measuring 15m x 9m and 1.5 meter deep (with a 7.5ft transition) – the meticulously hand-crafted performance hollow is made of discarded wood, located off brick lane in east london. 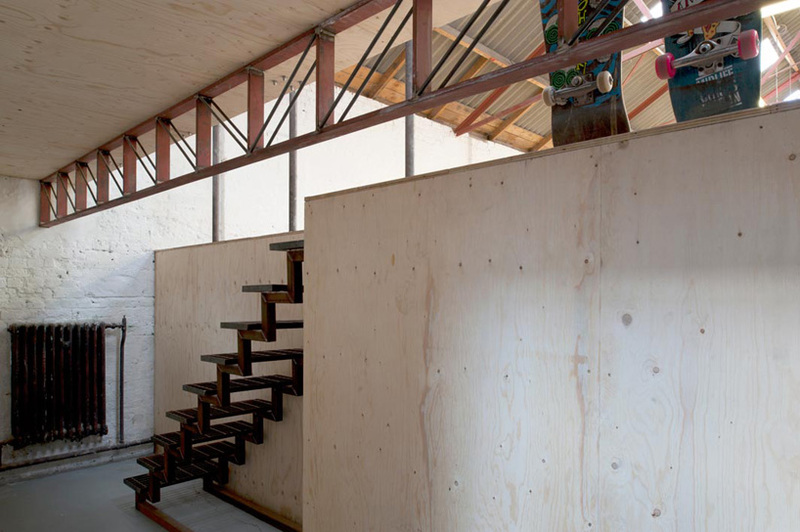 the craftsmanship celebrates the materials used – a patchwork of reclaimed timber giving a striking aesthetic to the structure. 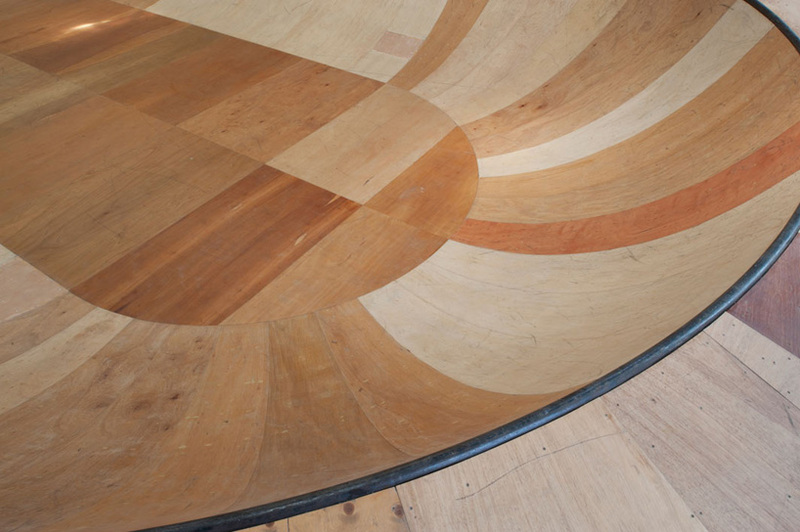 How much does a Bowl like this cost and how much square meters are needed to put it up?